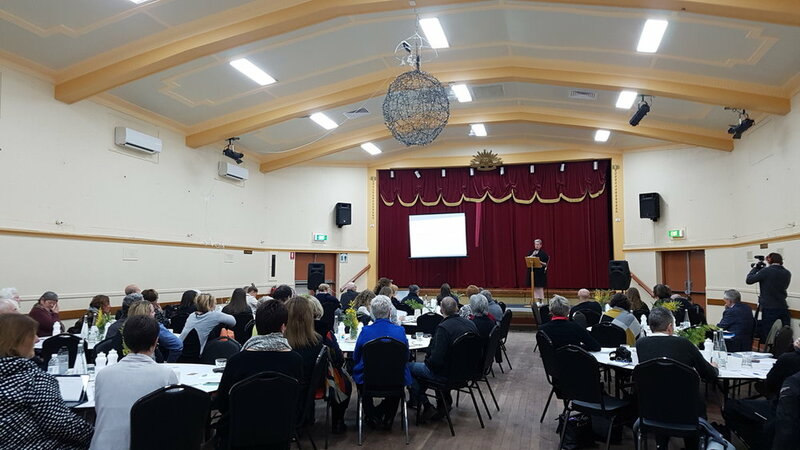 Grit, determination, and innovation to problem solve issues common to small towns came through loud and strong at the inaugural Small Town Show and Tell mini conference held in Cohuna on Friday 13 July, 2018. So what did I hear in the room? 1.8 million people live in small towns (under 5,000 population) across Australia which is the equivalent of the city of Perth. ‘Small towns are important,’ Jack Archer, CEO of the Regional Australia Institute stressed. He encouraged us to use the INsight data and research generated by RAI to assist with evidence in our submissions. It comes as no surprise that this was the thrust of my presentation and it was backed up by Jack Archer. For this reason we need to fight for improved technology so that more people can live and work in small towns. With a growing ‘gig’ economy where more people are self employed and contracted to perform services for the big corporations, there is a great opportunity for small towns to attract people away from the cities. I also shared some recent research from the Kauffman Foundation in the U.S.A. that has discovered that for every one percent increase in new business, there is a two percent decrease in poverty. Business is important! Small towns don’t have to do it alone. 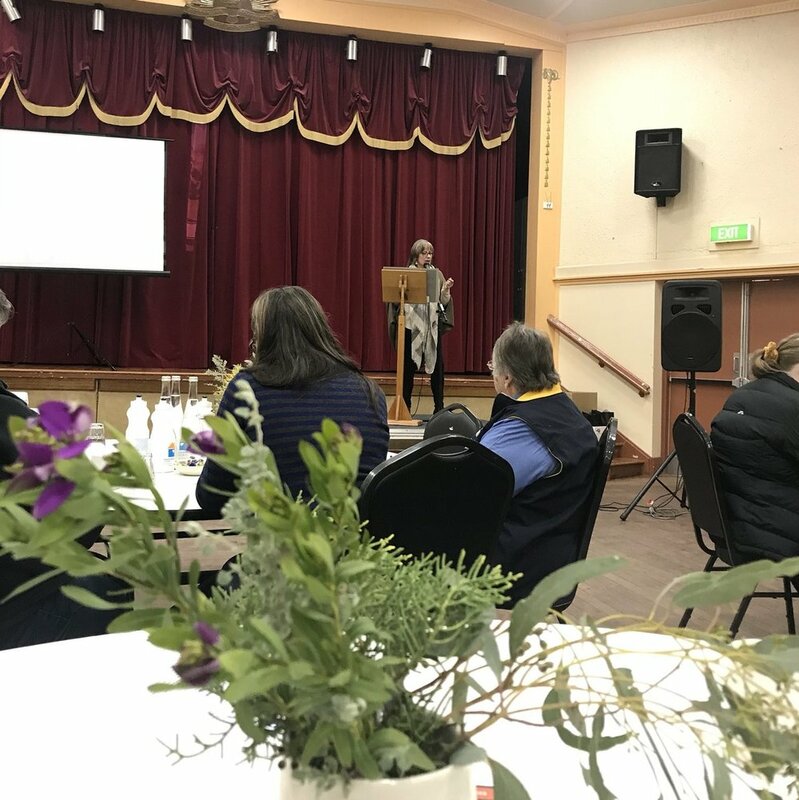 Jan Smith spoke about how the small community of Girgarre has achieved so much because they have shared both the work and the benefits with all their local groups. They’ve also welcomed visitors into their town inspiring them to help out with various events and activities. I shared a project currently unfolding in Warracknabeal at the court house which is managed by the Working Heritage board on which I serve. A partnership with the local community and Monash University has eventuated in grand plans to establish an artistic hub. Bakery on Broadway revealed that they had received assistance from the Rotary Club of Keilor in sourcing equipment for their bakery. City people love to help a rural community to succeed. Secondary college student Taitum Mason took some time out of her school holidays to come and share her thoughts on being a young person growing up in a small town. She listed a whole range of events that young people love to attend including The Big Cohuna Festival, an initiative of Operation Next Gen. ‘I don’t feel like I miss out event though Cohuna is a small town,’ she said. ‘I’m proud to be a part of this community.’ This supports the findings of research undertaken by Operation Next Gen through a survey of over 2,000 students. This message came through repeatedly through Tom Smith from Kia-Ora Piggery near Pyramid Hill, Ann Durie from Bakery on Broadway in Wycheproof, and Jack Archer, CEO of the Regional Australia Institute. The benefits are undeniable and Tom is lobbying hard for better conditions to assist migrants to gain stability when moving to rural areas. This includes extended visas as a pathway to citizenship including for extended family members; recognition of prior qualifications and fast tracking assessment and skills upgrades; and understanding that we need hands on people to migrate, not just academics. Gen Barlow from Newstead talked about opportunities for small towns to take advantage of the sun and create renewable energy. During Newstead's community consultations they discovered that not everyone was interested in renewable energy but they were interested in reducing their energy costs. Discussions have been ongoing and persistent to get across the various regulation and service provider barriers that have presented along the way. ‘The big corporates find it hard to understand that small communities can do this,’ said Gen.
Cohuna’s Emily Wood presented the findings of a research project that highlighted some important points. Professionals attracted to a small town like to rent before buying to ensure that they are a good fit for that community, however, there is a lack of suitable accommodation available for rent to meet their needs. Investment opportunities to be explored for Cohuna in particular included building two four bedroom homes to be rented to professionals for 3-6 month periods, and two to four small units suitable for retirees coming in from the farms. Financial incentives for young people to purchase and renovate old homes was another recommendation. 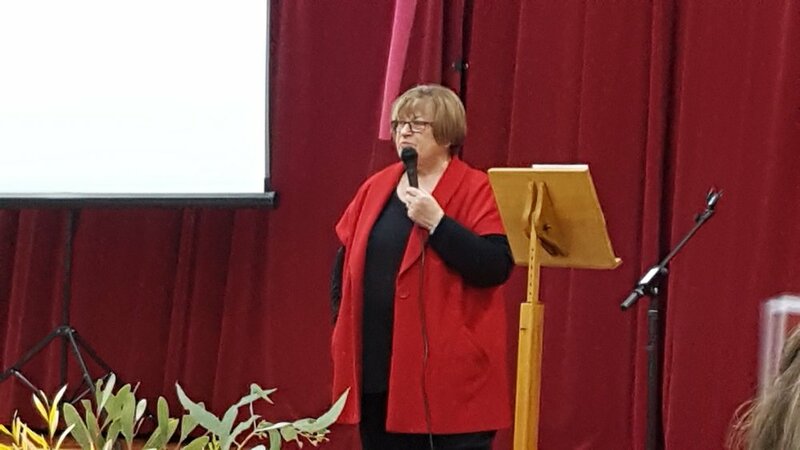 Jan Smith shared the story of how Girgarre turned a negative into a positive. When the Heinz Factory was being closed they refused a cash offer and asked instead for land which came with water rights. In effect this turned out to be far higher value that the initial $50,000 offered and is enabling them to build a $12 million botanical gardens. ‘Learn to ask,’ Jan advised. Jan’s other piece of valuable advice was to ‘build a war chest.’ She acknowledged a canny treasurer who kept putting money aside from each of their markets for when it was needed. It helped the community to save its kindergarten. As someone who has served on both philanthropic and government bodies administering grants, I reiterated that it is important to demonstrate what your community is prepared to contribute, or already has. If you are not prepared to invest in yourself, why should anyone else? Will it be a one off? Given how well it was received I think that another town may well take up the challenge to host this event in the future. Which town will it be I wonder?